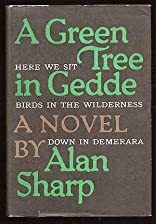 Green Tree in Gedde was written by W.A.C. Sharp. Green Tree in Gedde was published by Signet. About W.A.C. Sharp (Author) : W.A.C. Sharp is a published author of young adult books. Some of the published credits of W.A.C. Sharp include Green Tree in Gedde, Standard Grade Study-mate (Standard Grade Study Mate).